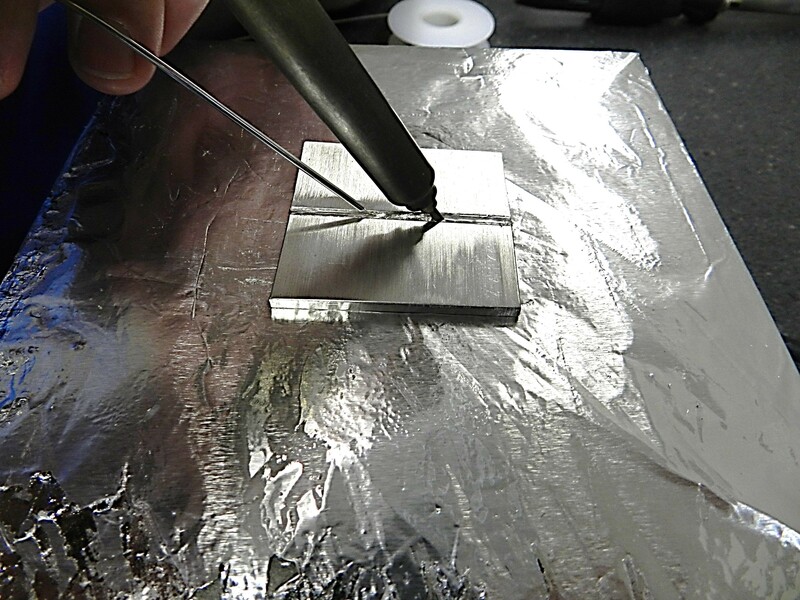 S-Bond Technologies has developed an ultrasonic assisted soldering process for making active solder filler metal joints and seals on aluminum assemblies. 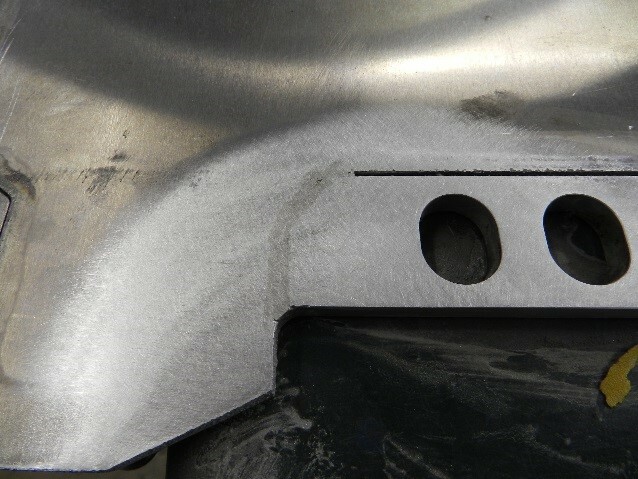 The process is similar to MIG welding processes in which filler metal wires are fed into a moving arc to create a weld fillet. In Ultrasonic Assisted Solder “Welding”, an ultrasonic solder tip serves as the heat source to melt the solder wire, instead of a welding arc. 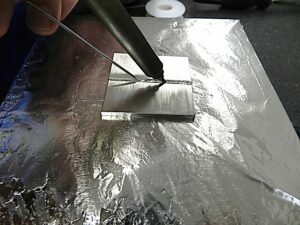 The heated tip melts S-Bond 220 wire solder which is continually fed to the solder tip. S-Bond active solder alloys melt at lower temperatures than the filler metals used in traditional MIG welding. Lower bonding temperatures are just one of the many processing advantages realized with Ultrasonic Assisted Solder Welding. For more information on S-Bond Ultrasonic Assisted Solder Welding, please contact S-Bond Technologies at (215) 631-7114 x 102 or email info@s-bond.com.